analyze them; in particular, which model is favored. 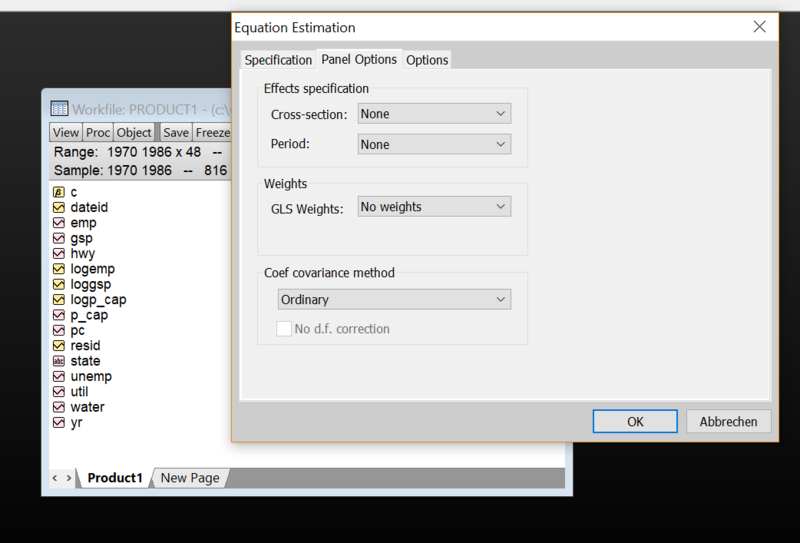 Test requires equation estimated with random effects. which random effects do I have to choose? 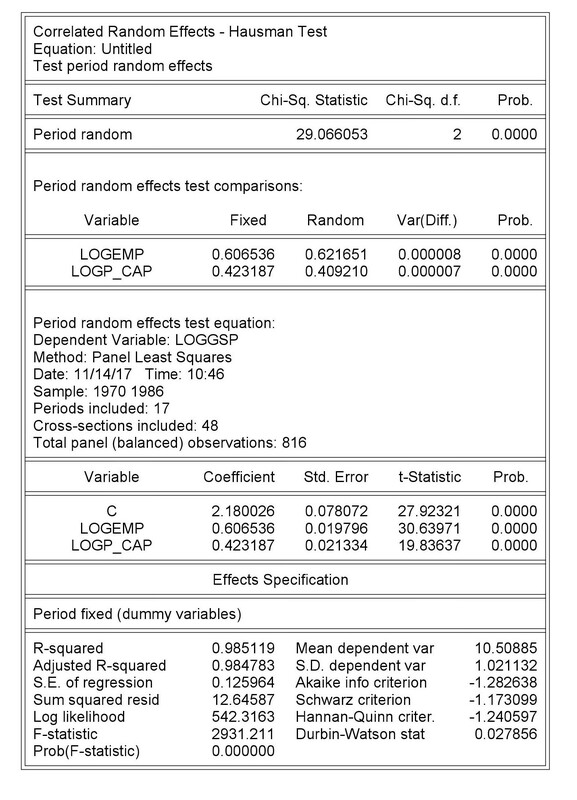 In my limited knowledge of econometrics, the random effects model assumes the error term is uncorrelated with the explanatory variables. Fixed effects allows for endogeneity. The Hausman test checks this assumption. 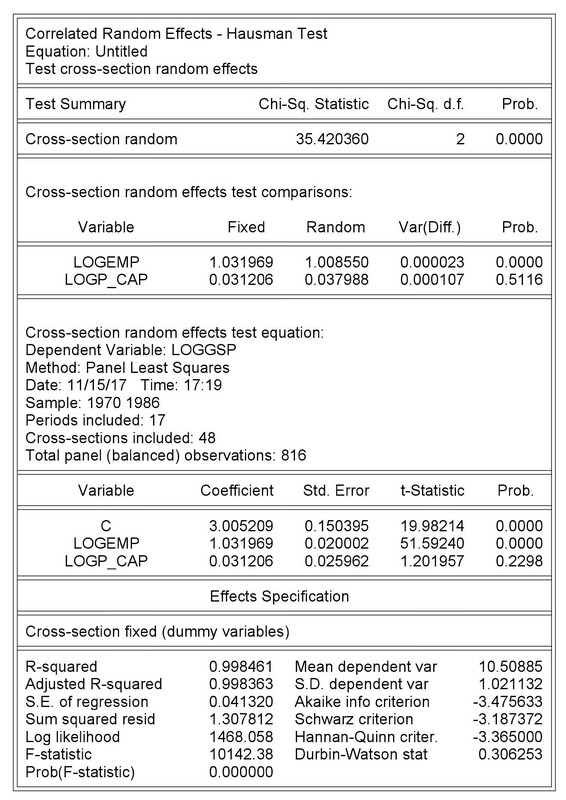 Thus it follows that the you can test the null hypothesis that there is no endogeneity in the random effects model and if it is found is thus rejected. It would be a bit more conceptually difficult to test a system which assumes endogeneity and prove it doesn't contain any. Does this make sense? This is how I understood it. As for the options for testing, I would run Hausman tests with random effects on each dimension individually and see what the result is. That should then tell you what you need to know. Just so you know, I don't really know what I'm talking about, this is just how I've worked through it in my head. Unfortunately, I still don't know which one I should use. Maybe some words to the data: Panel Data, 48 States during the time period 1970-1986 were observed.